Cockroaches are considered omnivores, eating plants and meat. They have been recorded eating human flesh, most often fingernails, eyelashes, fingers, and toes. However, they very rarely bite humans that are alive; most observations of this behavior are with corpses. 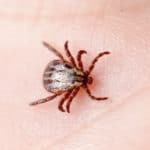 If they are to bite you or your family, it would most likely be because you have a significant infestation with a large population. Are Cockroaches Dangerous to Humans? Will Cockroaches Leave on Their Own? Don’t count on it. 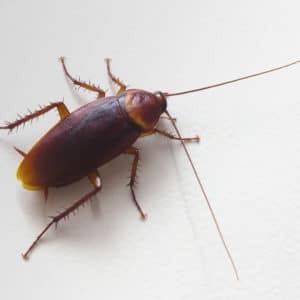 Because cockroaches are attracted to leaky pipes, food, and grease, they flock to messy residential and commercial properties. These pests are so resilient, it’s been said that they’ll be the sole survivors of a nuclear war. They are also efficient reproducers. Needless to say, they’re not easy to get rid of, even if you correct the conditions that attracted them in the first place. You should hope your first sign of a cockroach infestation isn’t seeing a cockroach! As the saying goes: once you find one cockroach in your house, there are hundreds of others you haven’t seen yet. 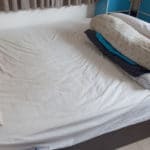 Be on the lookout for cockroach feces, eggs, and a distinct musty odor. 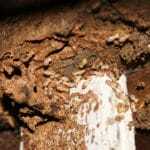 How do I know if I have termites? What do mouse droppings look like? Do cockroaches bite? 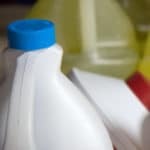 The pest professionals at Green Pest Solutions answer these important questions daily. Contact us today at 877-636-9469 and have your pest questions answered.